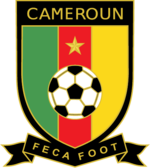 Herzogenaurach, Germany (1 December, 2010) PUMA® and the Cameroon Football Federation (FECAFOOT) announced today in Yaounde, Cameroon, a long-term extension of its current partnership, through which the sportlifestyle company will continue to be the official supplier of team kits, training apparel/apparatus and a partner for replica merchandise. This latest agreement is effective through the next FIFA World Cups™. For more information about PUMA Football, please visit www.pumafootball.com.